Maya Angelou (1928–2014) was a modern American poet and writer. Maya Angelou is one of America’s leading female contemporary poets. Maya Angelou also achieved much in the fields of theatre, acting, writing novels and also as a member of the Civil Rights movement. Maya Angelou (original name Marguerite Johnson) was born April 4, 1928, in St Louis, Missouri. 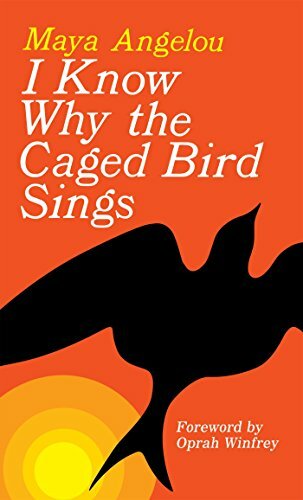 Maya Angelou had a turbulent childhood, but she was able to retell her experiences with great poignancy and effect in her book I Know Why The Caged Bird Sings (1969). This book is a collection of stories from her childhood, and this book made her one of the first African-American women to reach the bestsellers list. I Know Why The Caged Bird Sings was also nominated for the National Book Award. Maya Angelou married a South African freedom fighter and for a time lived in Cairo where she was the editor of the Arab Observer. However, in the 1960s she returned to America and played a role in the civil rights movement. She was asked to work on behalf of Presidents Carter (National Commission on the observance of International Women’s Year) and President Ford (American Revolutionary Bicentennial Advisory Council). 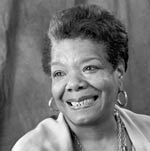 As well as being a poet and writer, Maya Angelou had a productive career in TV and film. She wrote several prize-winning documentaries such as Afro-Americans in the Arts. In the 1960s, she was active in the civil rights movement, coming into contact with both Malcolm X and Martin Luther King. She was the northern leader of the Southern Christian Leadership Conference (SCLC). With Malcolm X, she helped to form the new Organization of African American Unity. She was devastated after both King and Malcolm X were assassinated in the late 1960s. In the late 1960s, she published an influential autobiography, which spoke of her experiences growing up: I Know Why the Caged Bird Sings (1969). It is considered an important work for giving a personal voice to African American women. She went on to write seven autobiographical works. She has also been active in film and television. Dr. Angelou wrote the Pulitzer-winning screenplay and composed the score for the 1972 film Georgia, Georgia. 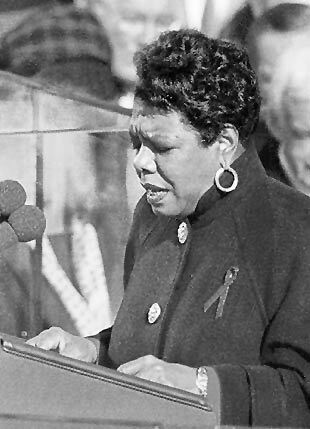 After reciting a poem ‘On the Pulse of the Morning’ at Bill Clinton’s inauguration, she became one of the best known African-American authors, and sales increased significantly. Her works have also received criticism for depicting sexually explicit scenes and violence. However, her books remain on many school syllabuses. Dr. Angelou received over 50 honorary degrees and was for a time Reynolds Professor of American Studies at Wake Forest University. Dr. Maya Angelou passed quietly in her home on May 28, 2014. Citation: Pettinger, Tejvan. “Biography of Maya Angelou”, Oxford, UK. www.biographyonline.net 26 Jan. 2011. Updated 26 June 2017.